Of all 50 states, Ohio has been one of the national hotspots for Islamist terrorism since 9/11. In 2016, Ohio State University was the site of an ISIS-inspired terror attack, and in January, investigators arrested a Muslim convertwho was planning a synagogue shooting in Toledo. 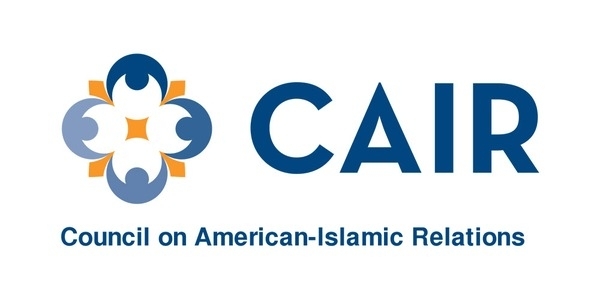 The Council on American-Islamic Relations (CAIR) presents itself as a Muslim civil liberties organization and has been careful to condemn domestic terror incidents like these. The Ohio branches of CAIR ("Protecting Civil Rights. Fighting Bigotry. Promoting Tolerance.") have dutifully followed CAIR-National's example, working hard to sanitize their image. 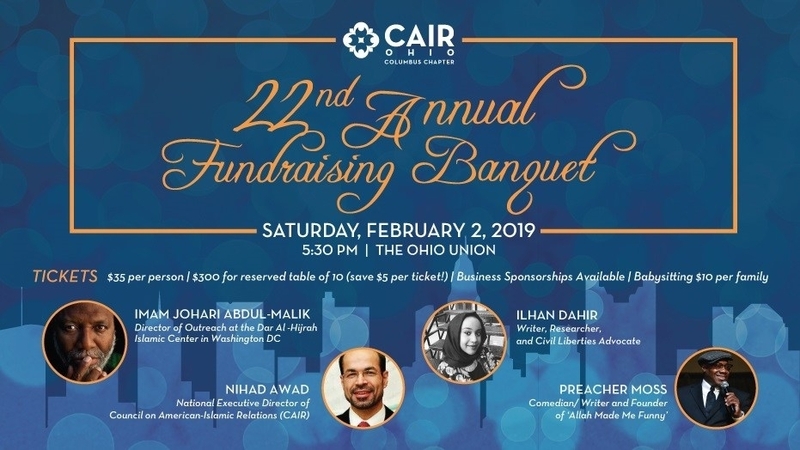 But CAIR-Columbus's choice of speakers at its annual fundraiser this past Saturday, February 2, shows that CAIR-Ohio is no more serious about fighting bigotry and promoting tolerance than the national branch -- which has been identified by an FBI agent testified in federal court as a front for the terrorist group Hamas. Keynoting the CAIR-Columbus banquet was prominent imam, Johari Abdul-Malik -- who, though he has been featured in a 2009 State Department video on "Eid in America," and asked to deliver the opening prayer for the Virginia House of Delegates, has openly expressed support for radical Islamist ideas. Abdul-Malik's involvement in both the State Department video and the Virginia House opening prayer were both met with controversy. In addition, not only have Imam Abdul-Malik's longtime association with highly questionable organizations come under fire, but there has been publicity surrounding his own extremist statements. I am gonna teach you now. You can blow up bridges, but you cannot kill people who are innocent on their way to work. You can blow up power supplies... the water supply, you can do all forms of sabotage and let the world know that we are doing it like this because they have a respect for the lives of innocent people. Alhamdullilah [Praise to Allah] and we will live, will see the day when Islam, by the grace of Allah, will become the dominant way of life... I'm telling you don't take it for granted because Allah is increasing this din [religion] in your lifetime. Alhamdullilah [Praise to Allah] that soon, soon... before Allah closes our eyes for the last time, you will see Islam move from being the second largest religion in America – that's where we are now – to being the first religion in America. To say that Dar al-Hijrah's reputation is problematic would be an understatement. As I've written previously, Dar al-Hijrah has seen a long line of convicted terrorists come through its doors over the past two decades, including several of the 9/11 hijackers. Also among the former attendees at the mosque was Fort Hood killer, Major Nidal Hasan. One of Abdul-Malik's predecessors at the mosque was Anwar al-Awlaki, an al-Qaeda cleric who was killed in a September 2011 CIA drone strike in Yemen. At the time of his death, Dar al-Hijrah issued a press release recalling Awlaki's "interfaith outreach, civic engagement and tolerance." But even prior to Awlaki's death, Imam Abdul-Malik had been at the forefront of rewriting Awlaki's history by publicly misrepresenting the extremism of the mosque's former imam when he had served at Dar al-Hijrah. Imam Abdul-Malik's troubling associations don't end there. He is still listed as a member of the executive committee and the governing shura council of the Muslim Alliance in North America. One of his fellow shura members, Luqman Amin Abdullah, was killed in aDecember 2009 shootout with the FBI, and another MANA official Jamil Abdullah al-Amin is currently serving a life sentence for the ambush killing of a Georgia sheriff's deputy and the wounding of another. Notwithstanding the extremist statements and associations of Imam Johari Abdul-Malik, don't expect the local Columbus media to get too worked up over concerns about CAIR-Columbus' upcoming fundraising event. Former Ohio State Treasurer Josh Mandel was repeatedly attacked by the local media for calling out CAIR's terror-supporting past and expressing concerns about the rise of Islamic extremism in the Buckeye State. But the Central Ohio media's incurious attitude with respect to CAIR and parroting their talking points doesn't make the ongoing problem of terror attacks and arrests in the community go away.